The first audiobook at Sireena Records! The famous chanteuese LALE ANDERSEN ("Lili Marleen"), entered a studio in Hamburg in the mid of the sixties and recorded 6 fairy-tales of her namesake Hans-Christian Andersen. With these recordings she followed the wish of so many young fans. We are very proud to present this outstanding recordings. German Language. 1969 keyboard player Vincent Crane and drummer Carl Palmer, left The Crazy World of Arthur Brown and founded ATOMIC ROOSTER. The debut album was published in 1970 and became a respectable success, but Palmer moved to Emerson, Lake & Palmer, who became one of the supergroups of the seventies. Vincent Crane continued with John DuCann on guitar and drummer John Hammond, and this occupation is still regarded as the most successful line-up of Atomic Rooster. Especially John DuCann, who came from Andromeda, blew fresh air into the group. But after the second album DuCann got off . Then in 1979, the Sensation, Vincent Crane and John DuCann came together again. Now the ROOSTER Dream Team was complete again. And the guys started there where they had stopped 1972. 10 tracks have been recorded in the studio. The new album came out in 1980. 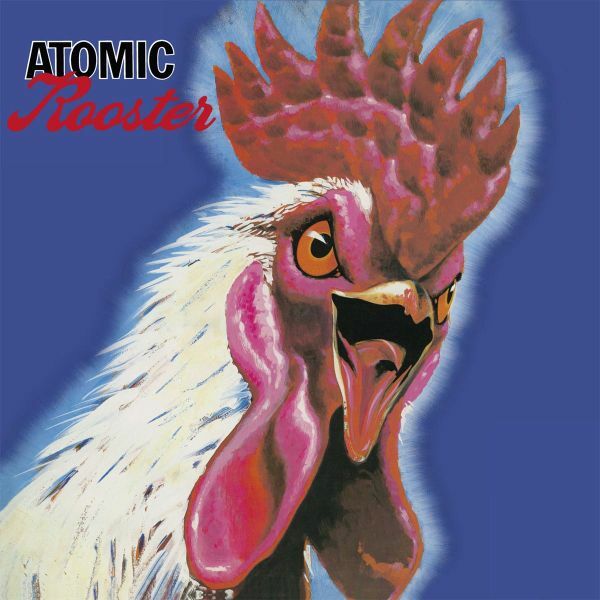 Songs like "Lost In Space, They Took Control Of You" and "In The Shadows" showed again the demonic-morbid doom Spirit of ATOMIC ROOSTER. Comes in gatefold cover with all lyrics. 180 gram heav-weight vinyl. The songs on this record are rare historical recordings. 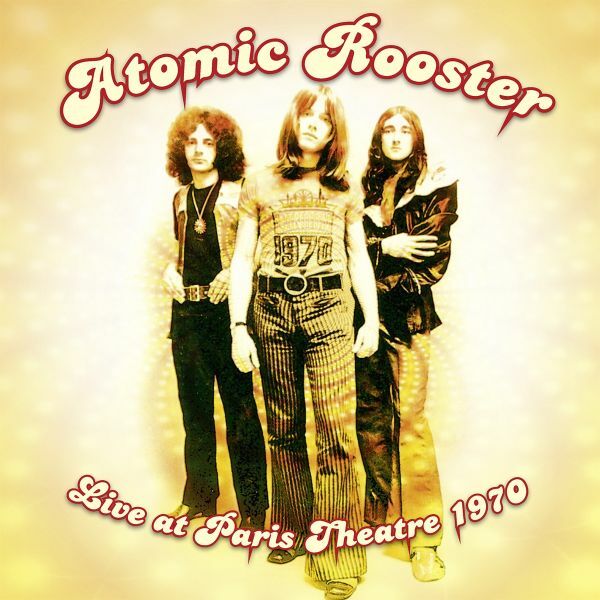 These are the only concert recordings of Atomic Rooster with Carl Palmer on vinyl.In 1969 keyboarder Vincent Crane and drummer Carl Palmer left the band The Crazy World Of Arthur Brown (incidentally, Crane had written the world hit "Fire"), joined forces with bassist Nick Graham and founded ATOMIC ROOSTER. The debut album released in 1970 was a respectable success, but Nick Graham then left the band. Incidentally, he remained the only full-time bassist in the band's history. For him from ANDROMEDA came the guitarist and singer John DuCann, who should leave a good mark. DuCann arrived at the beginning of 1970 and the trio Crane-Palmer-DuCann went on a tour across Sweden and UK in February / March. During this section, the band also played in the legendary Paris Theater in London, where they recorded live for the BBC. Four of these recordings are on the 10 "released by Sireena Records on vinyl for the first time, they are rough direct recordings that are of great historical value - and they impressively show the exceptional talent of Carl Palmer.Palmer then moved on to Emerson, Lake & Palmer, who became one of the supergroups of the 1970s. Vincent Crane continued with John DuCann and drummer John Hammond, and a year later - in 1971 - this formation was again in the Paris Theater for more radio recordings. But that's another story!The recordings on this record came from the possession of John DuCann, who already died like Vincent Crane. With "Live Im Logo" (SIR 2008), "The Easiest Way" (SIR 2010), and "Two Steps Forward" (SIR 2019) Sireena already re-published three of the vinyls of the legendary band. All stuff which the band of great guitar player Abi Wallenstein, Michael Schlr, Peter Urban (Mr.Grand Prix), and the ex Highway-Man Jochen Brr recorded and published or played live on stage since end of the 70s, was finest rock, which did not really fit to the at that time hip German-Rock or Kraut-Rock. BAD NEWS REUNION organized themselves at the light, fluffy sound of the American Westcoast with influences of Folk and Blues, which the Hamburg band presented with lightness and virtuosity. Harmony singing, awesome dueling guitars, and a drumming Hammond organ on top - BAD NEWS REUNION were and are cult ! Until today! The band never broke. In irregular intervals they come together, like in 2008 for the 30th band-anniversary, to make party somewhere. And the venues always are crowded. A phenomen. 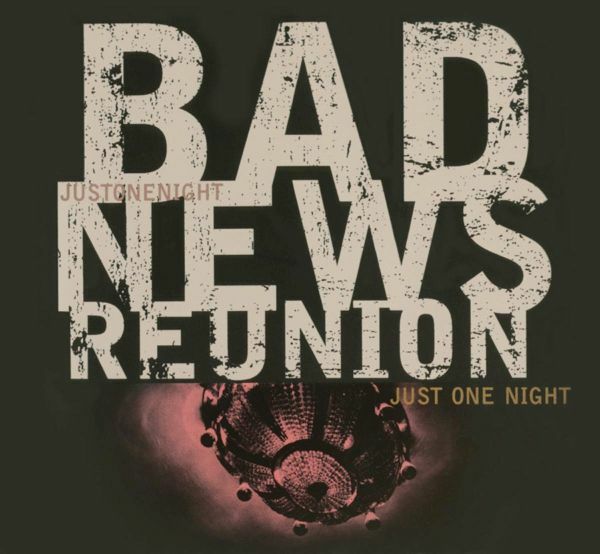 The recording of "Just One Night" happened 1997 in the "living room" of BAD NEWS REUNION, the Hamburger Fabrik and has been published in the same year under Line Records, same as all other recordings of the band. Also with this concert the band stuck true to their style. An exciting gig, which entertains and makes fun. The singing voices of Wallenstein, Schlr, and Brr couldnt be more different but dispite of that they fit perfectly to the whole picture of this great band. The fact that Abi Wallenstein is one of the versed german guitar players, with lots of awards, is known to nearly everybody. A perfect album by a perfect band, which added to the publishing of "Just One Night" also a bonus track of the same concert. 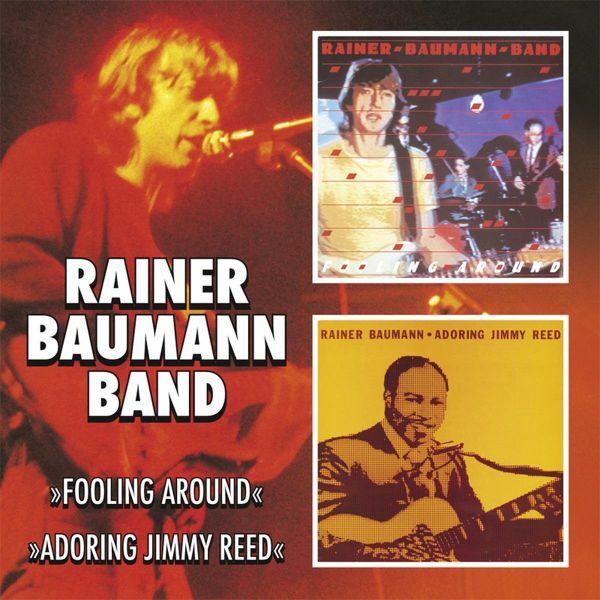 For the first time you can listen to their interpretation of the Bob Dylan classic song "Like A Rolling Stone" on a BAD NEWS REUNION sound carrier. 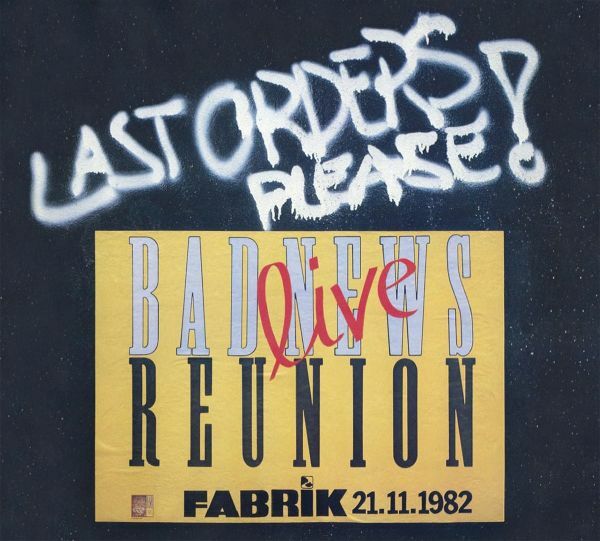 For the very first time on CD: The breathtaking final concert of German Westcoastband BAD NEWS REUNION from 1982.Recorded at Fabrik in Hamburg in front of an enthused crowd that band members showed themselves in the best condition. A great concert! 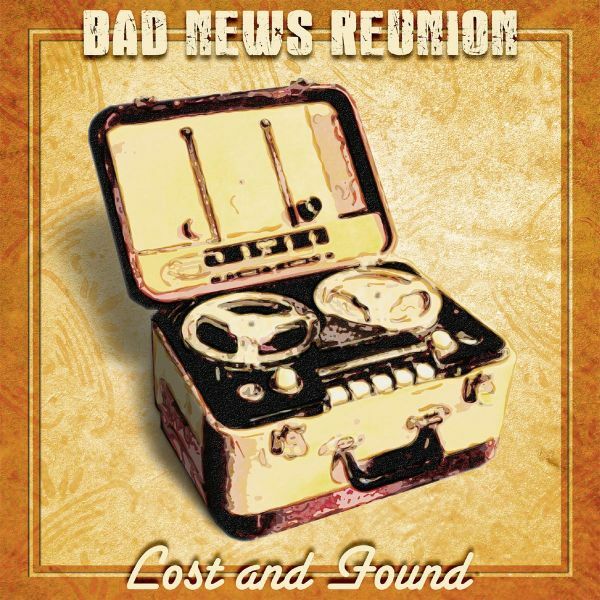 Some of you have probably thought, more often than not, that the Hamburg-based westcoast legend BAD NEWS REUNION had given up and were about to quietly fade into oblivion. Sure, there were BNR live appearances every four or five years in which the guys dusted off the same old songs over and over. One of those gigs was even recorded and released asJust One Night in 1998. And it had a couple of then new songs to boot. But the last time the musicians were in a recording studio was thirty-something years ago when they did Two Steps Forward. And now this. Twelve new songs, recorded professionally in a >studio<, that is, in Ulis basement. So how did this record come about? In the summer of 2012 Sireena Records re-released Just One Night and BNR thought it would be nice to promote the album with a Christmas-time oneoffgig at the legendary Hamburg >Fabrik<. And it was a great evening that the band enjoyed as much as the six-hundred in the auditorium. And Tom Redecker of Sireena also liked what he heard. He suggested to record >studio album<. And here it is!If you like westcoast rock music with a touch of folk, blues, if you like part singing in harmony. Thats all to find here. A great album with timeless songs! 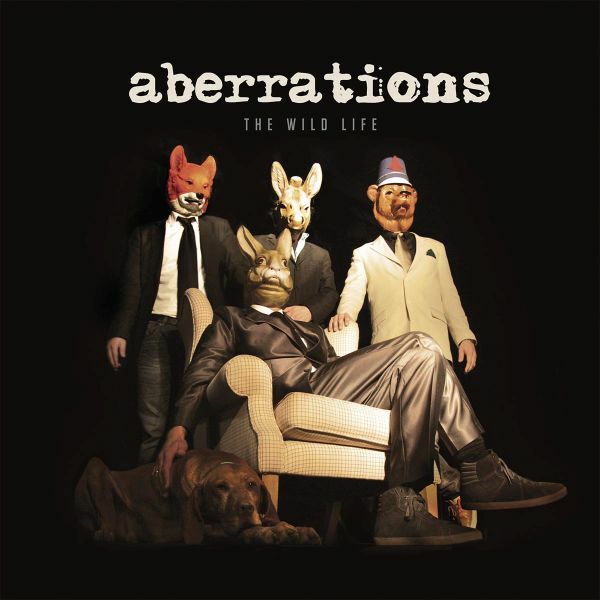 Another great album of the popular band from Hamburg. Came on the scene 1981. Her is the CD version with 5 bonus tracks! 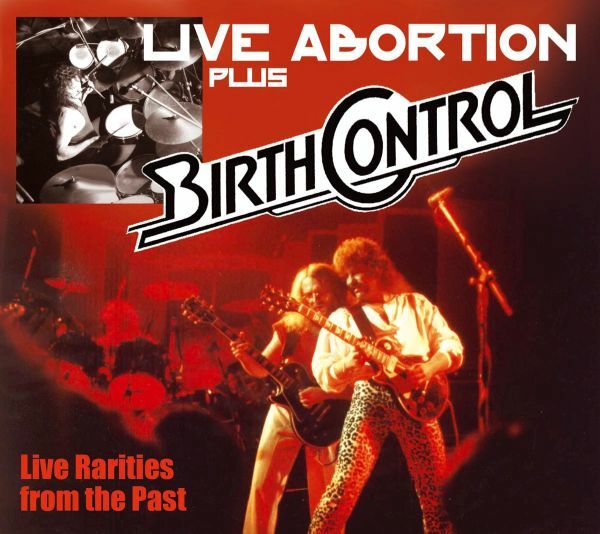 This was really right on the button of the German teenage scene during the late Sixties, which was definitely politically charged: fancy using BIRTH CONTROL as a group name, the Pope must have panicked! But this should not distract from the core business of "our" once Berlin based band: The Birth Control boys succeeded in creating their very own brand of Rock - with international sophistication and universal energy.There are haunting monster ballads like "Another Death", driving rock anthems like "Greedy Eyes" and the band's best known title "Gamma Ray" and head banger friendly workouts in "Nuclear Reactor", where Bruno Frenzel may sound a little bit like Ritchie Blackmore, not as a Deep Purple clone but more like the supplier of a friendly piss take. "The King Of An Island" shines as a Fantasy story with surreal lyrics, their piece de resistance "Hoodoo Man" clocks in at more than 15 minutes, and "America" is a very special studio encore produced by Frenzel & Noske in 1982: an open letter to former US president Reagan commissioned by the German section of the Blackfoot Indians - seriously - about imperialism which has lost none of its attack. 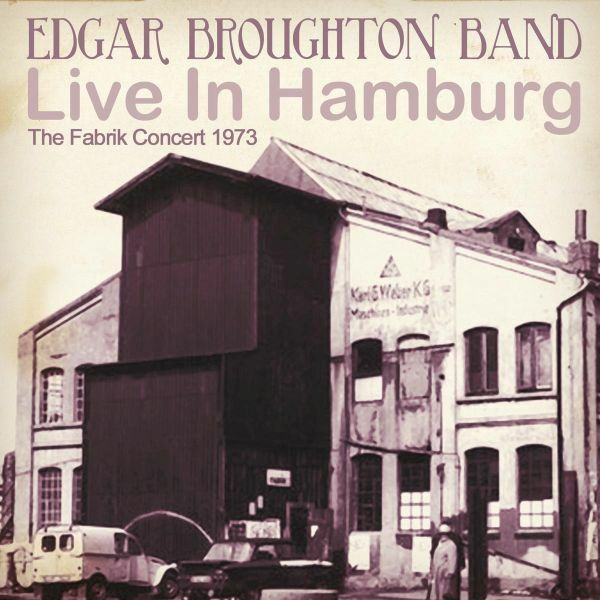 In the early 70s the EDGAR BROUGHTON BAND was one of the favourite british rockbands in Germany. Their powerful progressive Bluesrock , most often written by founding member Edgar Broughton was liked especially by the highschool kids and students. The battle call ,Out Demons Out" was heard during many demos during the turbulent 70s. No wonder that the band was touring Germany a lot. According to their own information Hamburg always was on the tour schedule, the Fabrik in Altona was one of the favourite live-venues in Europe. Here Edgar (guitar, vocals), his brother Steve Broughton (drums), bass player Arthur Grant, as well as Victor Unitt (guitar) played at the Fabrik on October 9th, 1973. The album ,Oora" was published just that year, the band was touring Europe and a good playing team, when they entered the stage of the Fabrik. What the musicians did not know at that time, the gig was taped semi-professionell with various mikes and disappeared in the private archive of a Hamburg music freak. Sireena Records digged out these tapes and sent them to Edgar Broughton in London. 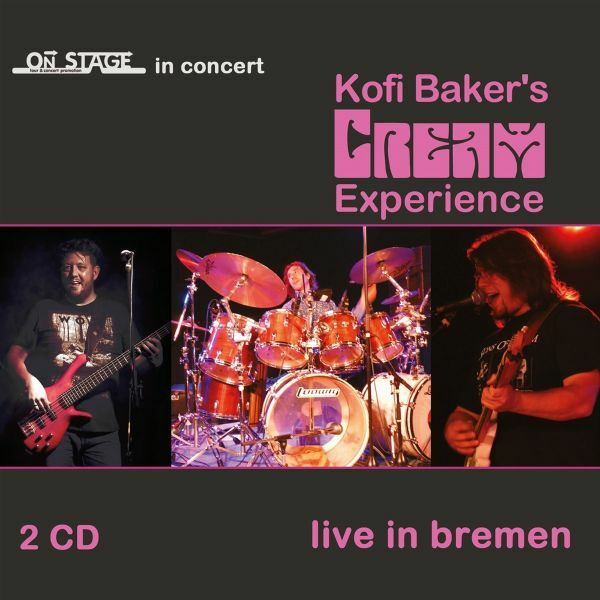 After serious checking all musicians who were on stage in Hamburg during these recordings agreed to publish this tape after about 40 years and to give it for the first time to the public. Fact is the EBB represents themselves in top condition. Classic songs like ,Poppy" and ,Love in The Rain" are available as well as a long version of the smash hit ,Out Demons Out". Especially during the song ,Freedom" one can feel the love to play music. Out of this song, which formerly was published as single, the band made an about 18 minutes jamsession, which not only caught the audience but also still shows the power and dynamic of the band. The guys had lots of fun.Sireena Records is very happy to having kept this unique document for musicfans. 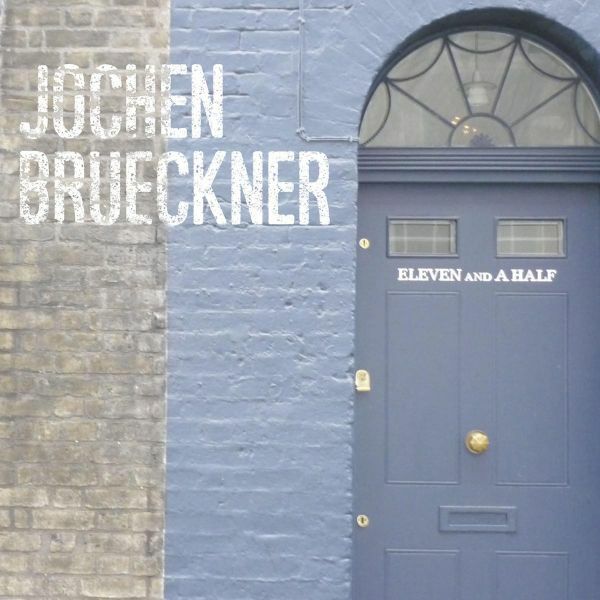 Brand new album of the German singer/songwriter J�RGEN BR�CKNER (ex-Highway, Bad News Reunion) with an excellent melange of Westcoast sounds and groovy folkrock. 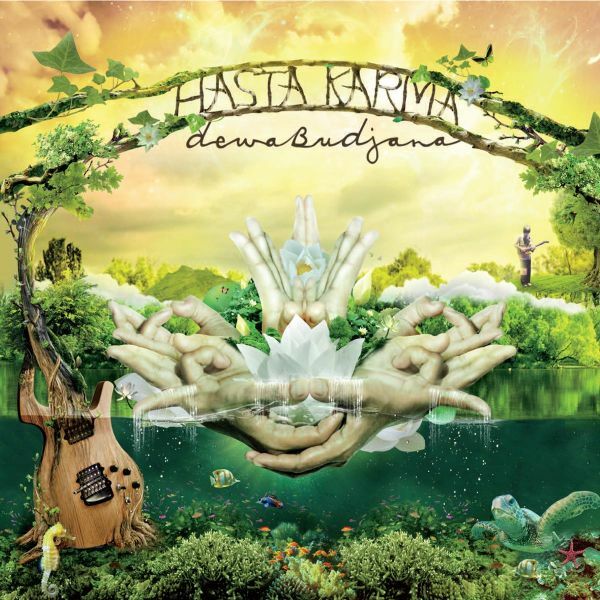 The seventh solo album from Indonesian progressive guitar legend Dewa Budjana sees the maestro cast aside the dense, meticulously-arranged approach that defined his previous MJR releases (last year's critically-acclaimed efforts: Dawai In Paradise, and Joged Kahyangan), in favor of a more streamlined set that burns with a rare intensity and squarely places Dewa's formidable chops front and center. Supported by progressive fretless bass legend Jimmy Johnson and the undeniably world-class rhythms of renowned drummer Vinnie Colaiuta, Budjana's fretwork is as delightfully unpredictable as it is soulful and compelling.Featuring inspired guest performances from Allan Holdsworth' and John McLaughlin's veteran sideman, Gary Husband (on synth), and L.A. studio guitar icon, Michael Landau, Surya Namaskar is the most personal statement yet from one of the world's most complete guitarists and unique composers -- a brilliant, vital release. This, the first BULLFROG-album was very successful and appeared in parallel to the German publication also at through the US-Company Anuit Couptis. 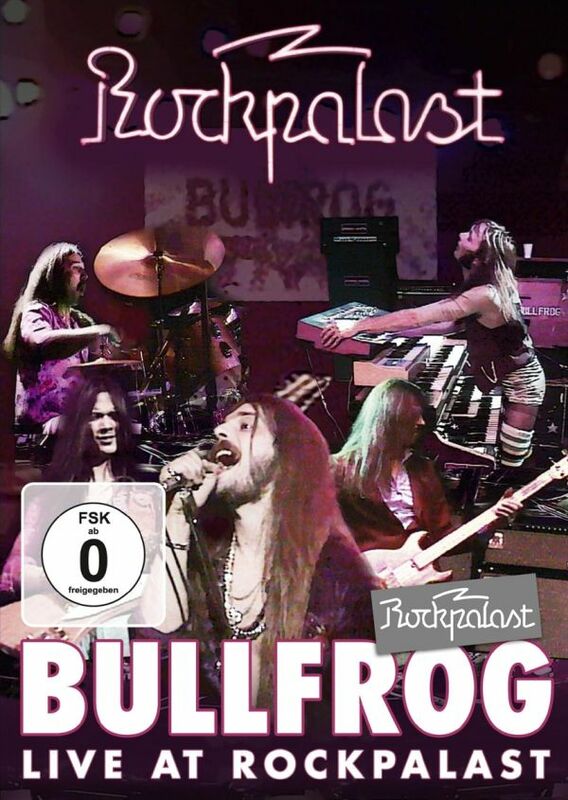 Amongst expert groups BULLFROG now belonged to the most promising newcomer-bands of the German rock scene. 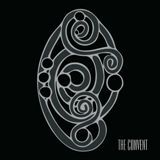 This has also be proven during their live-gigs, which were not only acoustic but also optic a class of its own.Here comes the long awaited debut album from 1976 , remastered from the original tapes. SECOND WIND - a phrase out of Anglo-Saxon wording, which stands for a runner who gets over the dead spot and thus releases remarkable power. Pure energy. This is the way these five profi-rockers from the south of Germany saw their music and the album which they published in the year 1980. After ,Bullfrog" and ,High In Spirits" it was their third vinyl.�Bullfrog always were fancy to hop over the big blue pond. Thus the band never was willing to get in line with the hip trend of singing German lyrics. They remain consequent which was proven by success: German TV executives listened attentively with the result that the musicians found themselves on the stage of the Dortmunder Westfalenhalle - Live recording as one of the first German bands for WDR-ROCKPALAST which still is a fix tv-part and a hallmark with cult status. Also international the first signs of acceptance: The wildest Cats of Germany was written in an article of the legendary army-mag ,Stars and Stripes", after the band obviously delivered a convincing concert in a German-American club. Also the US-station AFN sent a huge interview with introducing their vinyl. Tom Conners, manager of the (at that time) successful band MITCH RYDER named BULLFROG as one of the less German bands which might have a breakthrough in the USA. 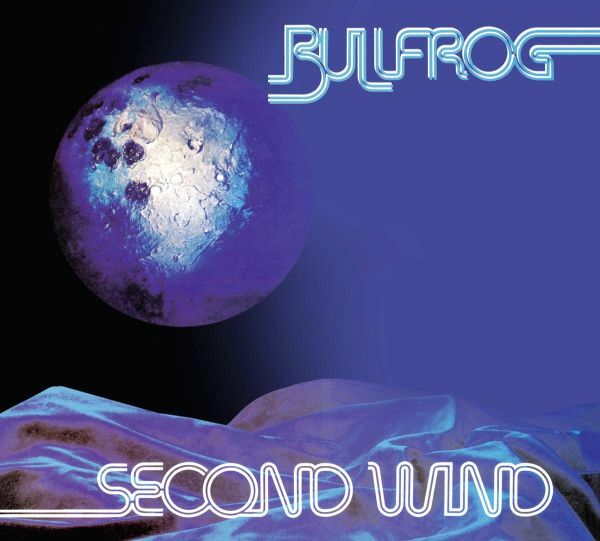 Upon the good connections to the US music scene Bullfrog got a second singer from Chicago. Timothy ,Tim" Gainer with his multifaceted and clear singing a real counterpoint to the raspy voice of the leader Gerd Hoch. Singing together they are not available on any vinyl but, after about three decades, for the first time on this cd.Some comments on the bonus tracks: These are previously unreleased recordings from the rehearsal room of the band. Why unreleased ? The forth album should finally help to a breakthrough in the USA. Also moving to the States was in preparation. Still being in Germany ideas have been collected on a recorder which should later on be worked out and recorded in an American studio. 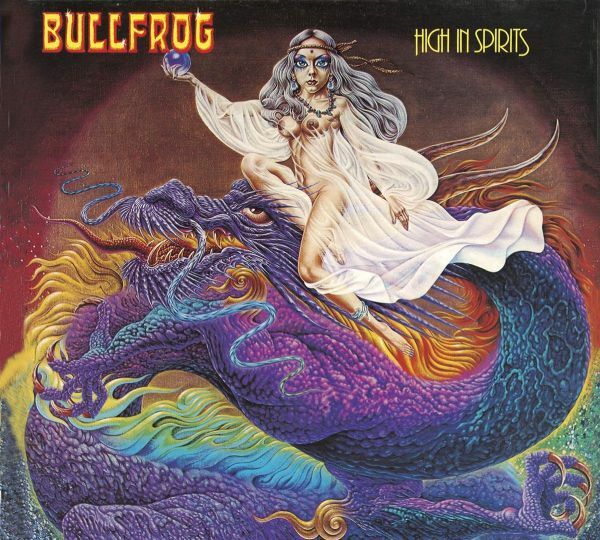 To make a long story short: Bullfrog moved to the US-state Illinois, but due to various problems the band split. Thus also the prepared demos disappeared for about two-and-a-half decades. Only 2007 parts of them appeared in Chicago and are now available as Bonus Tracks on this cd. Please keep in mind all these titles have been recorded in the rehearsal room of the band and only should be a memory hook. The recording has been done under (from todays point of view) fossil conditions: With an at that times usual 2-tracks-tape-recording-system of the 70s, which created noise in nearly everybodys house. But it shows perfectly the power and groove of BULLFROG. 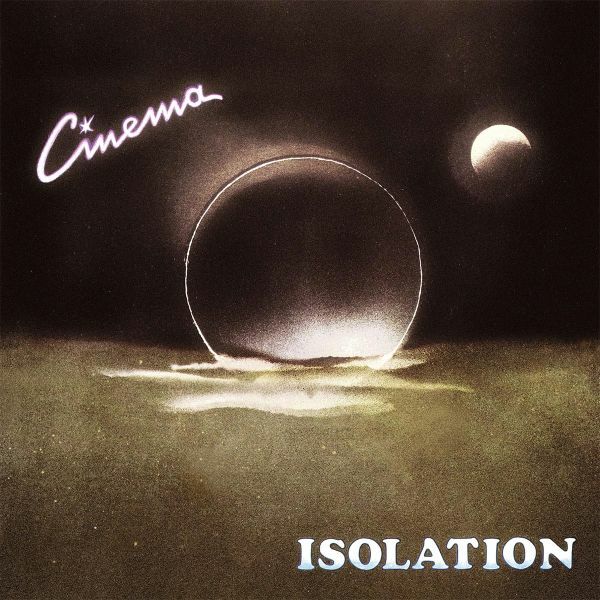 CINEMA is the solo project of former TIBET guitarist Jn "Pongse" Krutzsch.TIBET was one of those Krautrock groups who were traveling in the 70s with groups like ELOY, FRANZ K, GROBSCHNITT or EPITAPH. Her achievements and the group celebrated the mid to late 70's on some big festivals in England with GINGER BAKER, TRAFFIC, HAWKWIND u.v.a. So the band enjoys great popularity even today on the island. The only eponymous album of TIBET was re-released by Sireena Records on Vinyl.After TIBET had dissolved in 1980, Pongse of electronic music in the style of Tangerine Dream or ALAN PARSONS began to turn.With fellow musicians (among others PEE WEE BLUE GANG singer Richard hail) and also some studio musicians he took 1985 Single and LP ISOLATION under the name CINEMA. These first two pictures then appeared yet on their own label. The LP is now out and is traded only to lovers deals at record fairs. This is also one of the reasons why Sireena Records has decided to leave remaster 2016 album and to bring in a limited edition on 180 gram vinyl back on the market.The unfavorable conditions at the beginning of the recording sessions is probably due to the amateurish charm of this production. Pongse began namely first in a closet with various equipment to experiment and went only to complete in a relatively late stage in the studio to record with various musicians.Cute anecdote: Only when the LP was finished manufactures, realized Pongse that not a single guitar sound was heard on the entire production. It was well with him so much, to let off steam on various synthesizers that he had the guitar simply forgotten.Has at ELP indeed works! 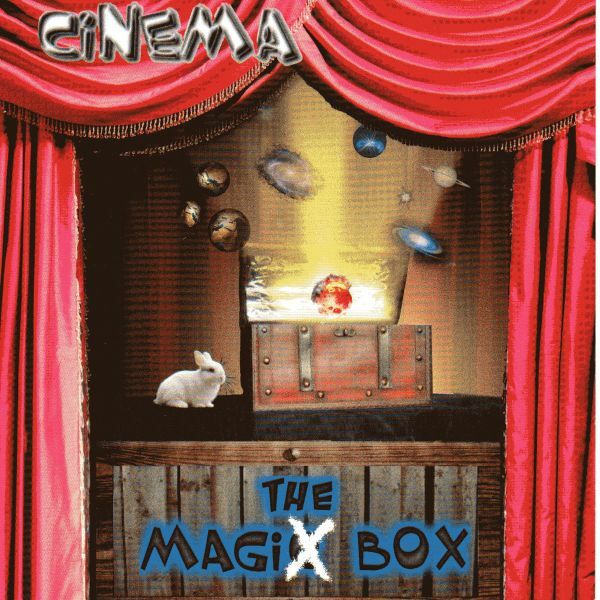 CINEMA is the current project of J�rgen "P�ngse" Krutzsch, who already was a well-known Krautrock size with his band TIBET in the Seventies. The project name fits, because the titles of this album run like movies in the mind's eye of the listener.P�ngse - supported by Brigitte Grafe and guitarist Benjamin Peiser - knows to take this electronic soundtrack every cold and to create an incredibly groovy and trancy melange, reminiscent in some moments of Pink Floyd, but also wakes associations with Tangerine Dream, Vangelis, Mike Oldfield and Schiller. Each title tells you in advance what it is and what musical elements are used. African, oriental and rock rhythms, with organs, choirs, guitars - a plenty of synthesizers and sequencers.For mastering ex-Grobschnitt musician EROC was actually responsible. The result is a musical journey around the world through the digital sound world of the continents that is unparalleled!A fine and entertaining journey at all! The perfect mental cinema! 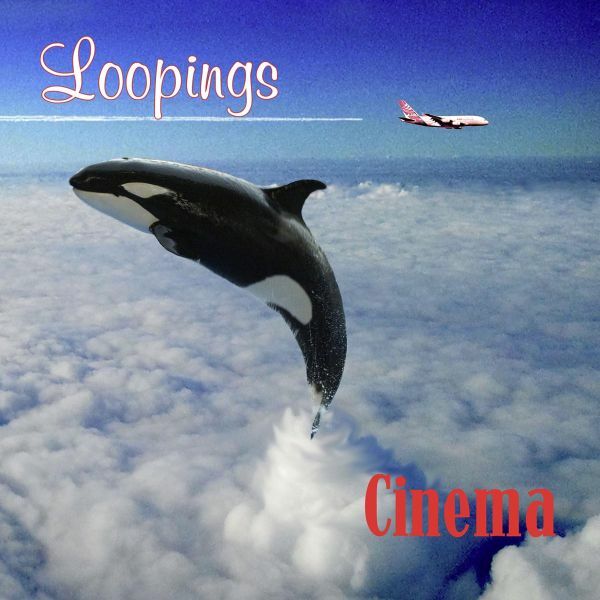 CINEMA is the current project of Jurgen' PONGSE" Krutzsch, who already was a well-known Krautrock legend with his band TIBET in the Seventies. The project name fits, because the titles of this album run like movies in the mind's eye of the listener.Pongsesupported by Brigitte Grafe and guitarist Benjamin Peiser - knows to take this electronic soundtrack every cold and to create an incredibly groovy and trancy melange, reminiscent in some moments of Pink Floyd, but also wakes associations with Tangerine Dream, Vangelis, Mike Oldfield and Schiller. Each title tells you in advance what it is and what musical elements are used. African, oriental and rock rhythms, with organs, choirs, guitars - a plenty of synthesizers and sequencers.For mastering ex-Grobschnitt musician EROC was actually responsible. 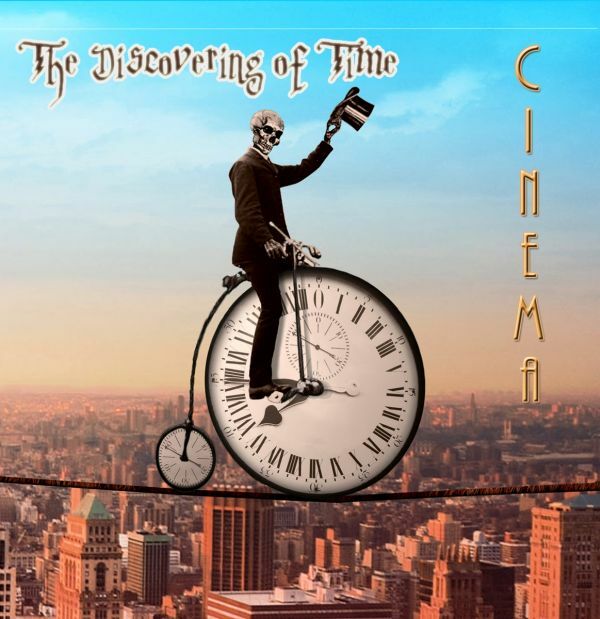 The result is a musical journey around the world through the digital sound world of the continents that is unparalleled!A fine and entertaining journey at all! The perfect mental cinema! For the very first time onCD! The grand live album of the german Synthiepop-heroes. Includes the No.1 Hit "Ich liebe Dich". With the rare and never released on cd before Maxi "Hellwach". Together wit Ton, Steine Scherben COCHISE built the leading duo of the german politrock scene. 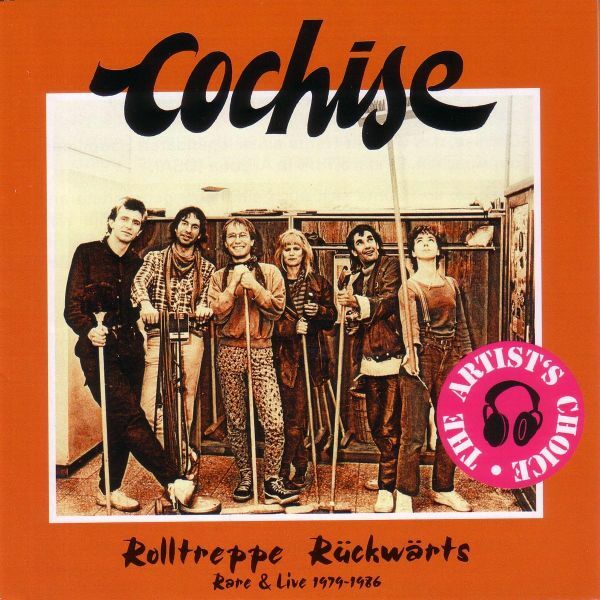 As a band of the squatters and the peace-movement Cochise reached legendary stardom during the 80s. In our series The Artists Choice were presenting sensational material out of the archives of the band for the very first time. Rough & rare! Tom Constanten has been keyboarder of THE GRATEFUL DEAD from 1968 to 1971. He played Woodstock and most of the festivalsin that time. Here comes his latest solo album together with composer/guitarist Ken Foust. A wonderful mix of Rock, Folk and Blues. In 1975 Curt Cress (drums) was offered the possibility to record an own album. 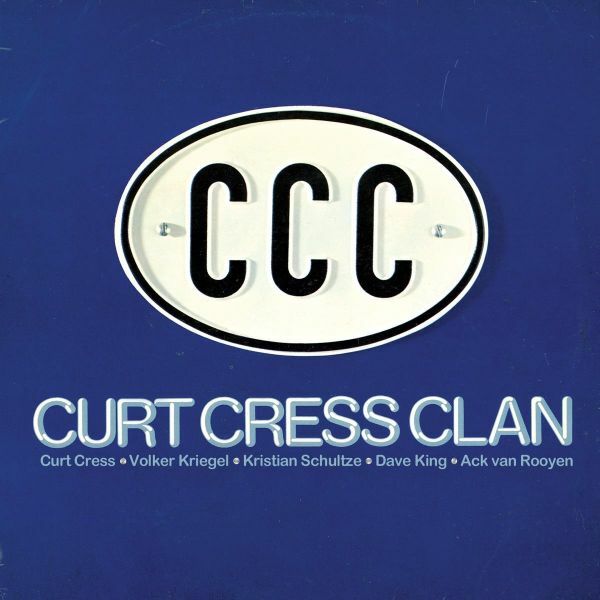 Thus ,CCC" has been formed with Kristian Schultze (keys) and Dave King (bass), whom Cress met shortly before, and with whom he wrote most parts of the album. With Volker Kriegel (guitar) and Ack van Rooyen (brass) two international high respected musicians joined the group. With this cast the recording sessions have been done in the Munich Scala Studio. The result was one of the best German jazzrock albums ever! Now this juwel is released on cd for the very first time. Look also for our SNOWBALL releases. The debut album from 1976 of the german blues legend DAS DRITTE OHR for the first time on CD. Rough recordings between Capt. Beefheart and Muddy Waters.